Say what you will about 2016; it was a pretty good year for me. Early in the spring, I pitched a book idea to Adventure Publications about Michigan’s nature centers and preserves, and wouldn’t you know they liked it! 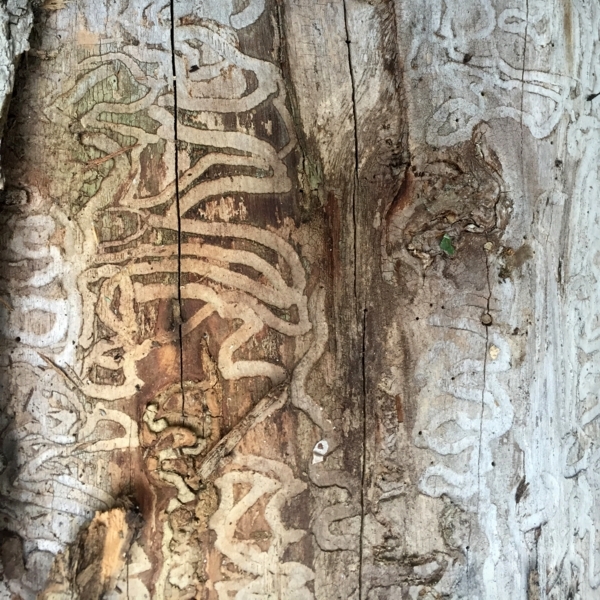 So I spent the the spring and summer traveling around the state with my kids looking for the best nature centers and nature/wildlife preserves in Michigan to share with readers. Nature is valued in Michigan, and the number of communities that support nature education and preservation is overwhelming. In the end, we whittled our favorites down to just over 50. Some properties were nothing more than a sign indicating a trailhead; others have a robust community of supporters that can rightfully boast of museum-like exhibits, educational facilities, and calendars full of classes and events. I was honestly surprised by how much we found. The idea for the book sprang from our attempts to find outdoorsy stuff to do and see with our kids. As we visited familiar vacation spots, we were surprised that there were nature centers everywhere—many we had never heard of. In many cases, these sites are less that fully utilized resources. Most are free (and those that have fees are more than reasonable), and they all encourage families to be more engaged with the natural world. This blog is meant to be a “universal” resource, so we’ve not focused too much on regional activities, but over the next couple months, I will share some of the more interesting places I talk about in the book. If you haven’t really embraced your local nature centers, maybe these posts will an inspiration. 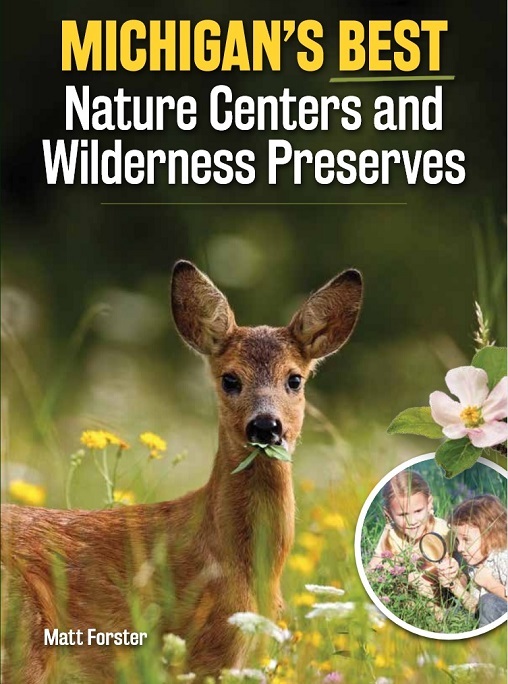 In the meantime, Michigan’s Best Nature Centers and Wilderness Preserves will be available from booksellers in mid-April. Owls: Our Most Enchanting Bird does a couple things well, and one not so well, but the latter might just be a matter of expectations. 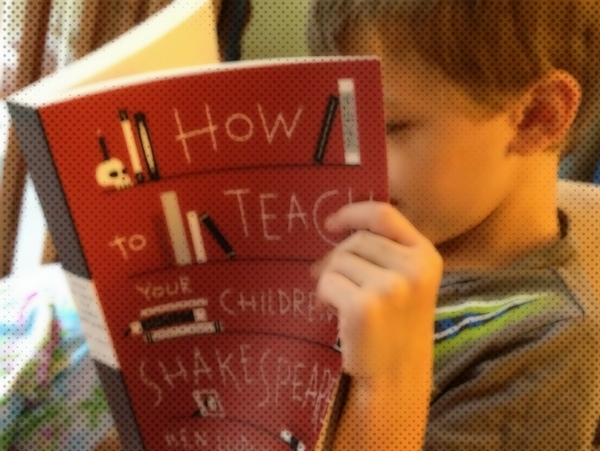 We buy books like this for one reason: to read to the kids. In one sense, Owls has a lot going for it. It’s a book about nature, what Tater (now in kindergarten) calls an “informational” book. 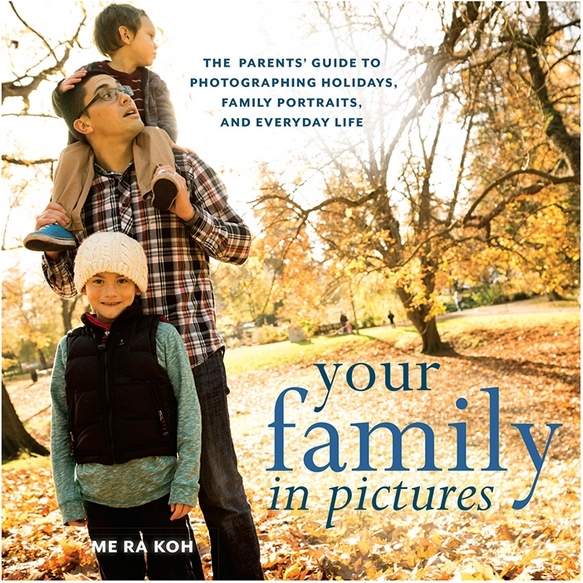 But it’s not one of those photo-heavy animal picture books we usually run across. 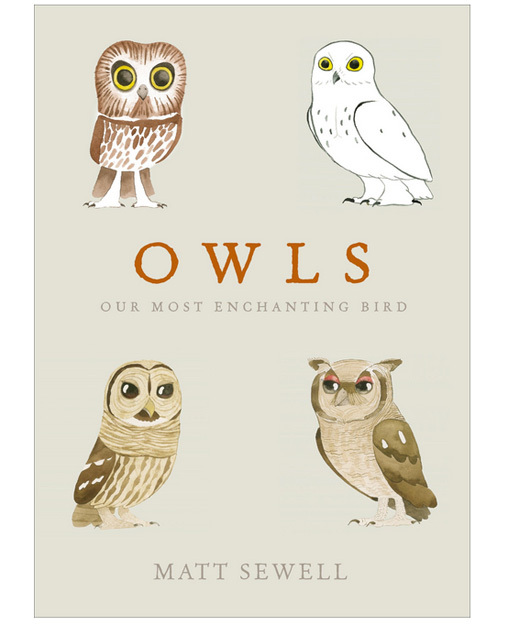 The art is beautiful, and the text doesn’t try to explain the entire owl-eat-mouse world. Instead, each owl is presented on its own terms. Short entries. Easily digestible. In that sense, it’s a delight. We can read about one owl or two and then move on. The text is where I wish there was something “more.” Frankly, I can’t get my kids attention with it. They listen to a sentence or two and start fade away. This is where those expectations come in. I find the book a real treat to read. I am not slamming through it like a James Patterson action thriller, but when I pick it up and read about a few owls, I am glad I did so. My hope is that in years to come, Grace or Tater will be browsing their bookshelf and find this book about owls. They will have grown into reading that isn’t narrative driven and enjoy Owls for what it is. October is a beautiful time to spend time by the lake. Cookbooks are a weakness of mine. I love all sorts. Earlier this year I was excited to receive a copy of The Soup Club Cookbook to review on our site. This blog is mostly about getting kids outdoors. There are lots of book reviews on here, but the rub is that the book has to have something to do with being together as a family–eating together, preparing food, growing food, etc. There is some potential for that with this book, so I wanted to give it a read. 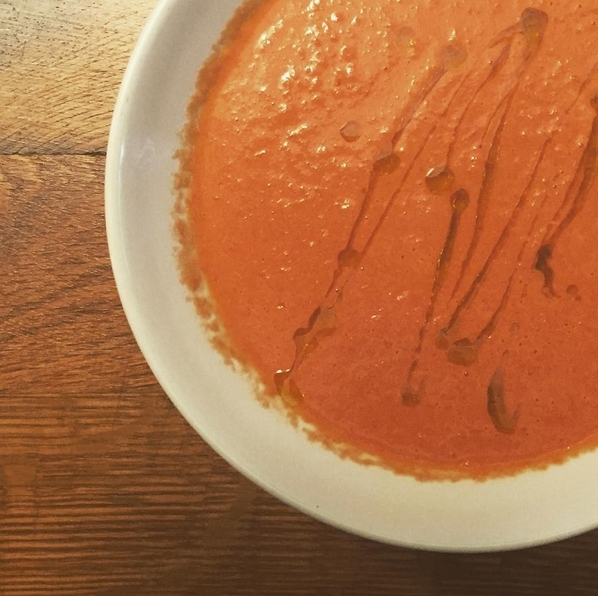 More than a cookbook, this book is a guide to creating a soup club. With a soup club, friends, family, and neighbors can share the load of preparing weekday meals. Soup can be an easy meal, and it’s easy to make more than enough. For example, three families can each make one batch of soup every week, a batch large enough to share with the other two families. Pass around the jars, and everyone is fed for three nights (plus leftovers). This book offers a fine collection of soup recipes with lots of practical advice on the best ways to transport soup, organize a club, etc. Unfortunately, I was unable to find a lot of interest in this idea. Everyone likes soup well enough, but few were interested in committing to cooking every week, let alone investing in soup jars and the like. Perhaps this is because I am a man and don’t have many relationships with other men who cook regularly. In the final analysis, there are a lot of great ideas for soup here, but you really need a particular set of friends to use the book to its full advantage. A few years back my doctor told me it was time to improve my diet. “For example,” he said, “you need to take pizza right off the menu.” Of course, I love pizza, so moderation rather than total abstinence became the mantra. When pizza became a “special treat,” it was suddenly terribly important that when we had pizza, we had good pizza. Of course, there’s only so much good pizza we can find locally. So I started trying make good pizza at home. I even took some classes and became proficient at a simple Margherita pizza and a so-so Chicago-style pie. The Pizza Bible by Tony Gemignani, however, has opened whole new vistas for me in the kitchen. In addition to classic Italian pizzas, the book covers a breadth of regional styles that promises years of fun tossing dough. Here in southeast Michigan, Buddy’s Pizza is legendary. 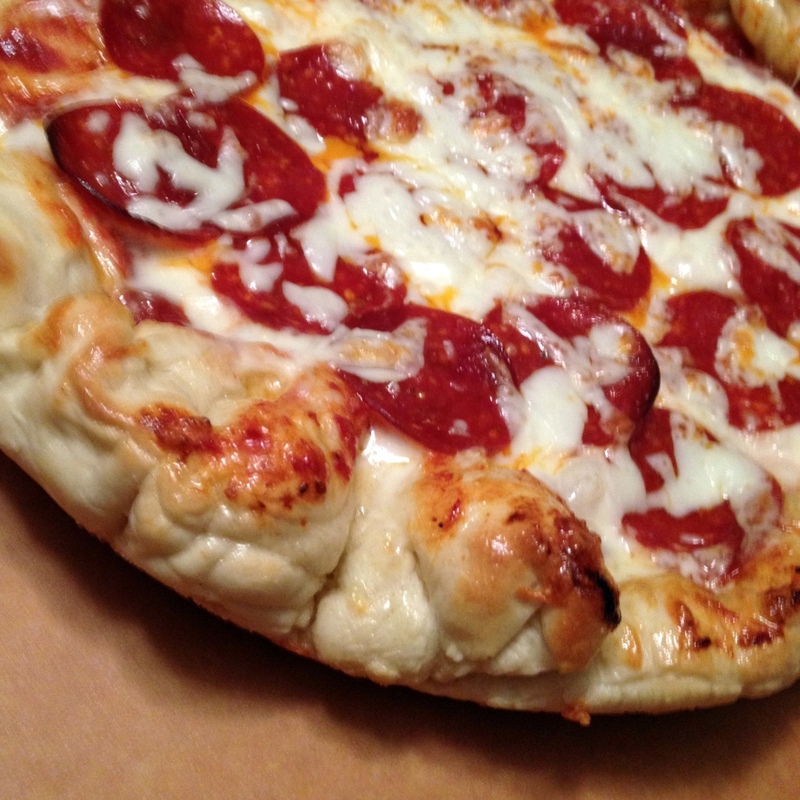 Order a pan pizza nearly anywhere, and you’re tasting a Detroit tradition. So I was especially excited to find recipes for Detroit-style pizza. All of these recipes are tweaked for the home cook. No need for a 900-degree pizza oven, though some basic tools (like a pizza peel) will come in handy. So far I’ve not been too daring with the pies I’ve tried, but we’re looking forward to giving every one of these a go. Once again I return to write a quick book report. There are a couple more in the works, so if you enjoy reviews of new books, stay tuned. But for now, permit me to turn your attention to The Nourished Kitchen by Jennifer McGruther. Food culture in America is a complex thing, borne of a mishmash of traditions from all over the world that inform family cooking habits, World Wars that introduced a generation to Old Country cooking, and the advent of industrialized food production. For all that, the great variety of foods we see today is relatively new. One of our local grocery stores, for example, stocks a small shelf of Indian food. The larger one does not. Thirty years ago, the town where we lived in west Michigan did not have a McDonald’s. As I remember it, there was Hiatt House Pizza and the Chicken Coop. And even though migrant workers from Mexico arrived en masse at harvest time, there was no Mexican food to be had at all. After we moved, I discovered Taco Bell, but it wasn’t until I was in college in the early 90s that an employer took me to a bar in Grand Rapids that served real Mexican—prepared by an elderly Mexican woman who made everything fresh in the bar’s tiny kitchen. I say all that just to highlight how much there is still to explore in the world of food and cooking, especially when it comes to feeding your family. There are older traditions that have yet to be rediscovered, and The Nourished Kitchen does just that. The author takes us back to the American farm of the early twentieth century, when families maintained a hearty vegetable patch, regularly gathered eggs from the chicken coop, milked the cows, and occasionally pulled a few fish from a local pond or stream. The recipes contained herein are beautiful in their simplicity. And yet, with a few healthy ingredients, McGruther creates a menu that is fresh and exciting, and one that offers a surprising amount of variety. Take, for example, the chapter on dairy. If you have a few organic, herbalist, New Age nutritionist, pseudo-scientific anti-food allergist friends (and who doesn’t), you’ve certainly heard of kefir (aka, fermented milk). And if you’ve heard of kefir, you know all about its overstated health value. But ignore that bit for a moment and consider kefir as part of something larger—a traditional way of approaching food, perhaps. A traditional approach that is likely to be healthier than the was we might be eating now. McGruther begins with a recipe for making kefir and then continues with an exploration of yogurt. Apparently Yoplait and Greek are just the tip of the iceberg. With different yogurt cultures, you can make yogurts from all over, each with its own unique texture and flavor. Then these yogurts can become more than just pre-packaged breakfast food. It’s something you can make at home; something that fits well on the lunch and dinner menus. 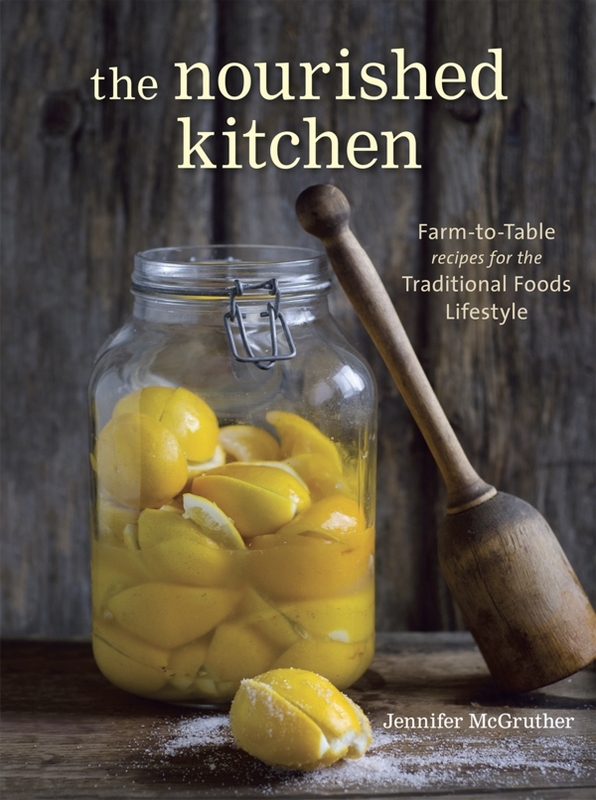 The cookbook has a larger scope than just dairy, of course, and it all looks amazing. I think the stunning photos could be credited for much of that, but they match nicely with the written recipes and will certainly drive our meal preparation for a few months. For a closer look, head over to McGruther’s website and order a sampler of recipes from the book. The easiest posts are reviews of books and gear, and since I’ve been slacking on here a bit, I thought I’d share a recent cookbook we discovered. Mark Bittman’s cookbook, How to Cook Everything, has been to me and my family what the Fanny Farmer Cookbook was to my parents. Come Thanksgiving, I am digging through that weighty tome for everything from how to make cranberry sauce to how to roast a turkey. In fact, I used it weekly for years and years. It’s been a lifesaver more than a few times. Heck, it’s because of Mark Bittman that I haven’t bought pancake mix in over a decade. A few years ago, Bittman came out with Food Matters and the Food Matters Cookbook. Both of these came along right when my wife and I were re-examining the way we eat as a family. The dominance of meat began to be a concern for us, mainly for health reasons, but also because the affect our meat-heavy diet has on the environment. These were good starts and pointed us in the right direction. 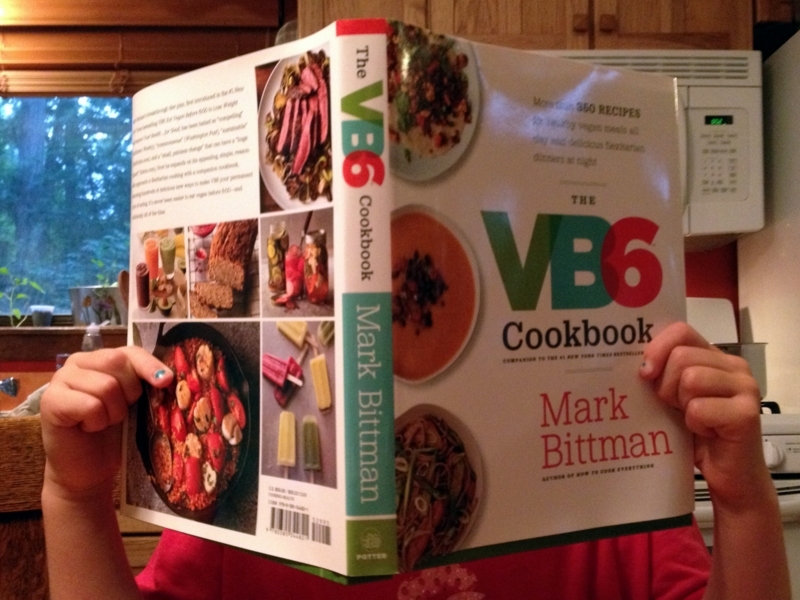 With the VB6 Cookbook, Mark Bittman has helped us move forward once again. While I haven’t read VB6: Eat Vegan Before 6:00 to Lose Weight and Restore Your Health . . . for Good, I have heard the author on TV once talk about his “vegan before 6 o’clock” philosophy of eating. It’s an idea that makes a lot of sense to my wife and me. We don’t feel the need to completely give up meat, and while we find vegan options appealing, we love our dairy. In this book, Mark Bittman gives us both of these: more trustworthy vegan dishes than you will find on Pinterest, and great ideas for incorporating meat, dairy, and other non-vegan (but healthy) ingredients into occasional meals. The cookbook has 350 recipes, many with full-color photos (a big plus in my book), and still has room for practical advice on regularly preparing healthy meals for your family. The chapters on stocking the pantry are worth the price of admission by themselves. My wife and I spent over an hour tagging recipes to try and drooling over the pics. 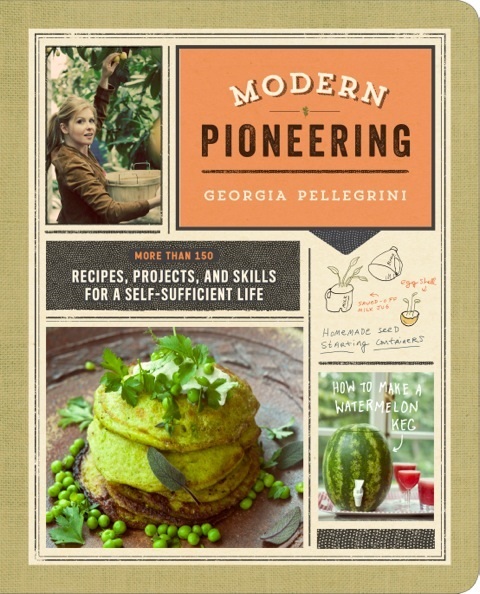 All said, I love this book: from the healthy approach to eating to the practical advice on cooking.